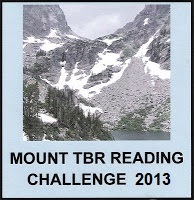 Mount TBR: March Checkpoint Winner! 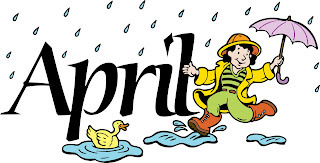 Link up all reviews for May below. My April totals are down again--just when I think I might be getting my reading mojo back, I start lagging. 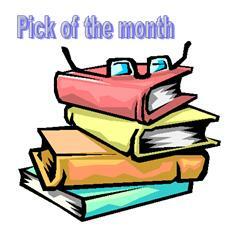 Only 13 books this month and nowhere near last year's total for the month of 20! 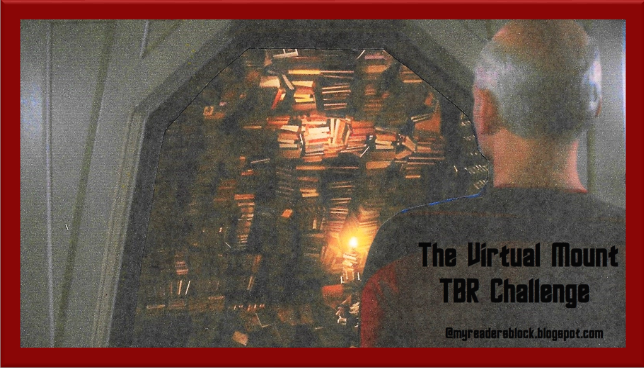 (where did all that reading time go this year?) 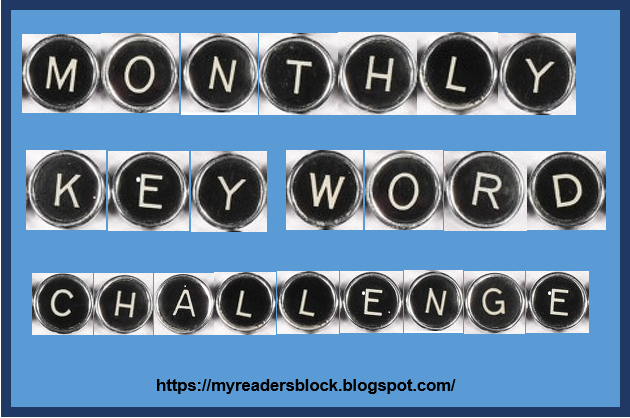 AND GoodReads STILL says I'm running behind....so, if I want to Outdo myself (one of the many challenges I'm juggling), then I still need to get busy. 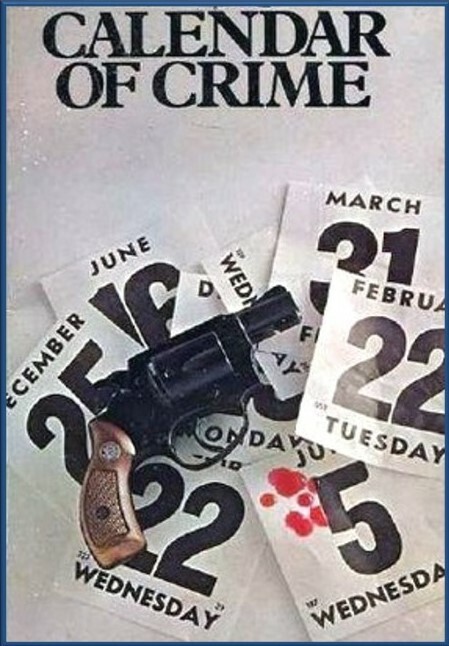 AND, as mentioned above, Kerrie has started us up for another year of Crime Fiction Favorites. 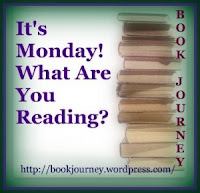 What she's looking for is our Top Mystery Read for each month. 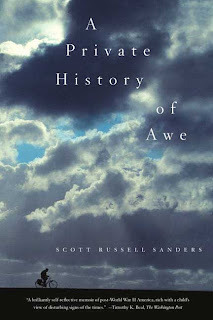 In April, I read ten books that may count as mysteries--with none grabbing the five stars (that went to A Private History of Awe by Scott Russell Sanders). .... 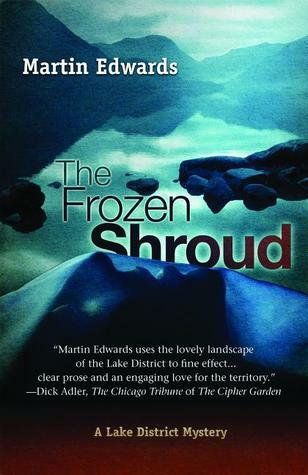 The Frozen Shroud by Martin Edwards. 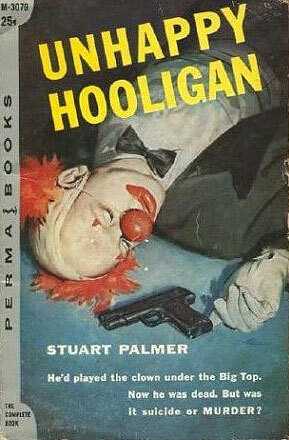 This is a well-plotted mystery with lots of red herrings and plenty of suspects. I've got to give Edwards credit--he had me changing my mind about the culprit with nearly every turn of the page. Michael Suslov is a CIA agent in Argentina. A man with slim ties to the former First Lady of Argentina, Eva Peron; he nonetheless has promises to keep and, as the saying goes, miles to go before he sleeps. And before this story is over he will be called upon to keep those promises--even at the risk of his life. When Eva Peron dies, her body is preserved and held in trust for the Argentine people--but her body vanishes from the vault where it was kept and moved from place to place. Each time Evita's body is moved, devoted followers manage to find her and flowers are sent. After sixteen years, the Argentine people want Evita back and Suslov is called upon to transport the body safely. But there are more groups than one who want Evita's body...and moreover, they want to find the key to a Swiss bank box rumored to hold the millions that Evita reportedly stole. Some of the people on Suslov's trail are rogue CIA agents, some are former colleagues, and some are former friends--but they all want Evita and most want the money. It becomes more and more difficult for Suslov to determine who is on what side and it will be a long dangerous journey before Evita can be brought home and Michael can keep his promises. After a somewhat slow beginning, this turns into a fast-paced thriller that keeps the reader on her toes. Lots of action and the chase in the final chapters is well worth the ride. The best of the book is in the denouement and I enjoyed Michael's interactions with Gina and Hector. And I have to chuckle when I think of the wool they pull over General Peron's eyes in those last moments. 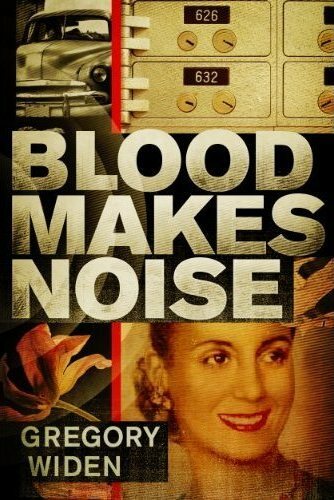 I agreed to read this as a review request because of the story of Evita--I knew very little before and was intrigued by the historical context and mysterious circumstances. It was very interesting to find out how many of the extraordinary events were factual. Overall, a very solid and interesting read. I give it three and a half stars, but if you are a thriller or espionage fan I can easily imagine it earning a higher rating. Death Has Green Fingers by Lionel Black (Dudley Barker) has a little of everything--murder, mayhem, blackmail, gardening secrets, double lives, adultery, and scandal. It's an academic mystery with gardening overtones....no, wait, it's a gardening mystery with academic undertones. It's got a feisty young reporter who repeatedly ignores the official warnings and gets herself caught up in the intrigue of village life...and nearly gets herself killed in the process. Kate Theobald, the young reporter in question, travels to the village of Ashworth with her husband Henry, a barrister, to visit one of Henry's college friends. They no sooner arrive than Jonathan Sims and his wife whisk their guests off to a drinks party hosted by local academic and rose breeder, Nick Bell. Nick not only has an eye for a lovely rose, he also has an eye for the ladies--something that has gotten him into a bit of trouble. But not near the trouble that comes for him before the party can even begin. The guests arrive only to find their host sprawled in the greenhouse with a knife sticking out of his throat. Kate is quick off the mark in the reporting stakes with Henry to help her track down clues. They soon discover that Bell had been working on a prize rose indeed--a fabled blue rose, producing a blue rose that will breed true is the holy grail for all rose breeders and it looks like Bell may have succeeded. But the plants are gone. And the question is was he killed for what could potentially be a huge money-maker or did one of his many affairs finally catch up with him in the most deadly way? The deeper Kate & Henry dig the more dirt they uncover on the philandering flower fancier. And someone thinks Kate is getting a little too close to pay dirt. Two attempts are made on her life and a third is looming before the pieces get put together. 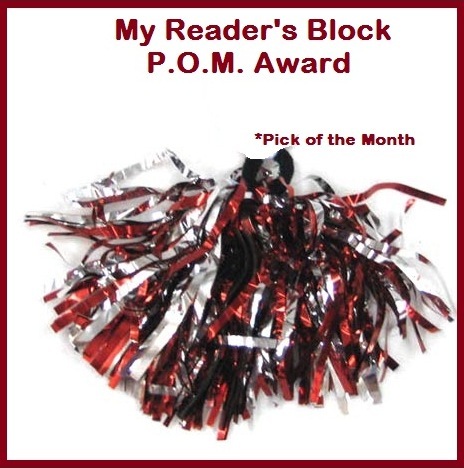 Lots of twists and turns and plenty of red herrings in a plot with likeable characters. Black does a great job of getting the reader right into the action and moves things along with good dialogue and clue-hunting by our main characters. 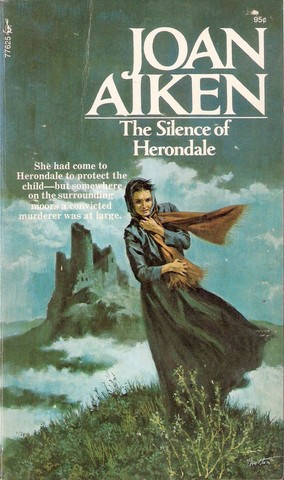 A nice example of 1970s mysteries. Three and a half stars. 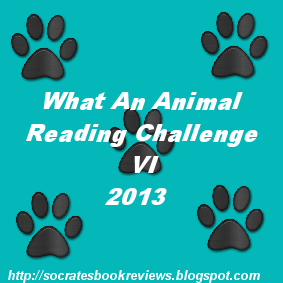 Yvonne over at Socrates' Book Review has hosted another round of her fun What An Animal Reading Challenge. 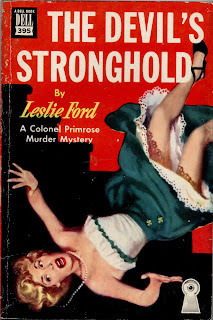 It seems like a lot of the Vintage Mysteries that I love (and have sitting about in teetering TBR mountains) have animals in the title, so this one has been an easy challenge to meet. I've already managed to read six books as necessary, so the initial commitment has been met....but I have more on deck so I'll be adding to my list. Death Has Green Fingers by Lionel Black: The village of Ashworth prides itself on its roses--and its rose breeders. Nick Bell, a fancier of prize roses, has perhaps produced a most extraordinary variety--a blue rose. 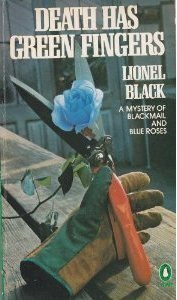 After his alleged triumph, however, Bell is murdered, and the infamous blue roses are nowhere to be found. Was he murdered by an envious fellow horticulturist? Or did it have to do with his other main passion--the pursuit of married women? A Private History of Awe by Scott Russell Sanders is a beautiful testament to the power and fragility of this thing we call life--and the language we use to describe it. In his memoir, this gentle man holds in balance the wonder of the beginnings of life and the terrible waning of life as it ends. And he uses this balance to frame the story of his search for communion with the source of power that runs through all living things, all of nature, all of the universe. He guides us through stories of his youth in Tennessee and Ohio, his years in college, and his courtship and early married life with his wife. These memories are shared in parallel with recent interactions with his new granddaughter and his aging mother. It would be easy to read the book as a memoir of American boyhood and what it was like to grow up in the 1950s and 60s--and Sanders does give us that. We see him growing up on a farm in Tennessee and moving to a military installation in Ohio where his father worked on bombs. He faces the taunts of Yankee boys for the way he talks until he tames his Southern speech patterns and learns what death is when he helps his father with a staged deer shoot for visiting generals. He falls for his first girl and loses her when her military family moves again three weeks later. He becomes aware of the color barrier and watches as the country responds violently to matters of civil rights. He spends most of young life dreaming of being a physicist and building rockets for space travel until he becomes dismayed with the uses to which governments put scientific discoveries. But throughout his life Sanders is searching for moments of insight--"openings" as the Quakers refer to them. Moments of awe-inspiring connection with the current of power that runs through all things. Increasingly uncomfortable with religion that claims to be connected with a loving God while tacitly approving the destruction of enemies and ignoring the needs of the youngest, weakest, and eldest of society, he wants a connection with something more, something better, something that will allow for the awe that he has experienced repeatedly in his life--in the power of the rainstorm, in the opening of new leaves in spring, and the new life of children. As he says, he "wanted a larger view of life, a view more tender, more curious, more open to awe. [He] longed for a religion grand enough to hold the universe revealed by science. [He] wanted a religion generous enough to embrace all the world's young, not merely the Christ child, not merely our own children, and not merely the offspring of our species, a religion that would keep a man from worshiping in the White House chapel and then going downstairs to order bombing raids on cities filled with strangers." Sanders' memoir resonates especially with me when he writes of his mother and her steady loss of vitality and language. He compares her losses with his granddaughter's gains--her loss of verbal skills with Elizabeth's slow mastery; her unsteady baby steps with the baby's growing confidence in walking. My father is head-injured and as a result suffers from aphasia and some emotional distress. His accident was in 1999 and for a good ten years after his initial recovery he held his own. Not always able to come up with the exact words he wanted, especially if stressed or excited, it still wasn't obvious that there were verbal barriers that had to be crossed before speaking and he did well in small gatherings and when given time to think. But that's changed in the last few years--and I see Dad's decline foreshadowed in Sanders' descriptions of his mother. His memoir is a personal call to me to be open to the awe-inspiring moments of my life and the fleeting time I have to share them with my parents and loved ones. An absolutely lovely book--and absolutely a five-star read. From the Prologue: On a spring day in 1950, when I was big enough to run about on my own two legs yet still small enough to ride in my father's arms, he carried me onto the porch of a farmhouse in Tennessee and held me against his chest, humming, while the thunder roared and lightning flared and rain sizzled around us. From the First Chapter: When my father wrapped me in his arms and carried me onto the screened porch of our farmhouse in Tennessee during a thunderstorm, he said nothing about the booming and blowing, merely hummed a tune, a sound I confused with the purr of the rain. It was as though he had swallowed a bit of thunder, which now rumbled in his throat. Beth Fish is hosting a sixth round of the What's in a Name Challenge. I had a lot of fun with this one last year and just had to sign up again. The goal--to read six books one in each pre-determined category. I've still got a few books that will meet various categories, but I've managed the initial six necessary to complete the challenge! While most of New York City rings in the New Year with parties and hoop-la, Death celebrates the changing of the calendar with a party of its own. 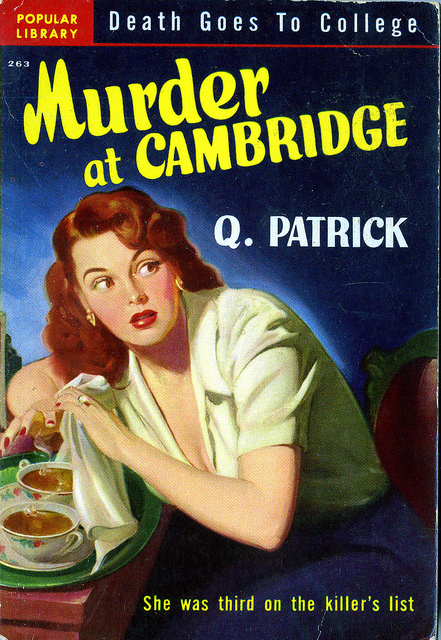 But instead of laughter and drinking, murder is on the agenda in Rufus King's vintage mystery Holiday Homicide. Real estate magnate, Myron Jettwick, invites friends and family to his boat on New Year's Eve in preparation for a yachting trip to Tortuagas. He invites his ex-wife and step-son, his sister, a rival in real estate and her daughter, and is joined by secretary and the boat's captain and crew. All goes well until his stepson Bruce (who is incidentally also his nephew) gets a telephone call at 3 am. The voice says that it is Jettwick and asks Bruce to come to his cabin. When Bruce gets there he finds Jettwick dead from a gunshot wound in the head. Rather than raise the alarm, Bruce goes back to his room to wait for someone else to discover the body. Once the murder is discovered, he belatedly remembers that he has left fingerprints on a mirror in Jettwick's cabin (a mirror which he used to see if the man was still breathing) and this sends him out on deck to have a good think while waiting for the police to arrive. On the yacht anchored nearby is Cotton Moon, a wealthy private detective with a weakness for exotic nuts who will immediately put the reader in mind of one Nero Wolfe and his prize orchids. Moon comes equipped with a wise-cracking right-hand man--Bert Stanley, a jewel of a cook, and team of investigators that he can call on for extra legwork. Bruce absent-mindedly throws a rare sapucaia nut and hits Moon with it--gaining the detective's attention on two counts...the nut itself and the early morning antics of his neighbor dressed in pajamas and a robe while pacing in the New Year's snow. As soon as Moon hears the set-up...and Bruce's aunt Emma Jettwick dangles $30,000 plus expenses in front of him...he's on the case. 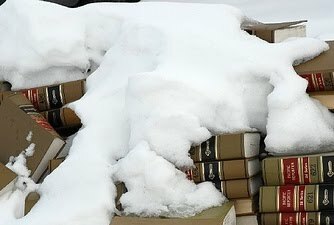 There's a curious collection of botany books, hard and icy spots under the newly fallen snow, nut shells where they shouldn't be, and a mysterious black box that isn't where it should be. There's an ex-lover of Jettwick's ex to find and complainant in a robbery case to track down. Moon will hire a diver and filch a few important papers....and in the end will decide that the group really needs to take that trip to Tortuagas in order to bring the mystery to a close. 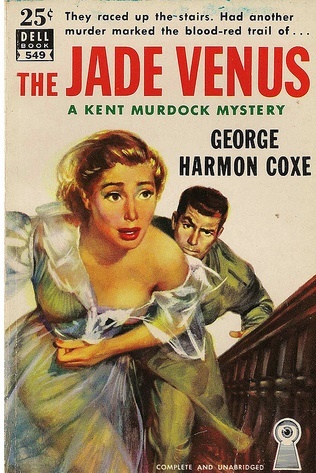 This is an excellent pastiche of Nero Wolfe and Archie Goodwin and it's so well-done that one doesn't even mind the comparisons to a far more famous detective duo. King has his own brand of humor and a slick writing style that makes reading this adventure a real pleasure. I thoroughly enjoyed meeting Moon and Stanley and watching how they dealt with suspects and policemen alike. Like, Wolfe, Moon is completely sure of himself and doesn't mind sailing a bit close to the wind when it comes to methods. He's sure the D.A. won't mind if he bends the rules just a bit. I have just a couple of quibbles with King's plot. The first is fair-play....well, there isn't as much as I'd like. There's one major clue that the reader doesn't even know about until the end. There's a hint that Moon has somebody on hand to track down that particular sort of clue, but the reader isn't shown it and has no way to hook it up with a suspect. The second is the big reveal of the culprit. I can't explain properly without giving it away....but I just don't see how the who was where they were. Not unless they had an accomplice. But, overall, a fun little jaunt with a couple of detectives that I wouldn't mind seeing more of. Four stars. 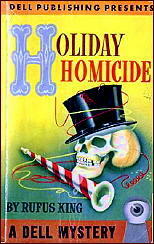 Holiday Homicide by Rufus King: Cotton Moon, a detective that will immediately make the reader think of Nero Wolfe, is called in when real estate magnate Myron Jettwick is found shot to death on his private yacht. The police figure Jettwick's stepson for the culprit...Moon is out to prove them wrong. 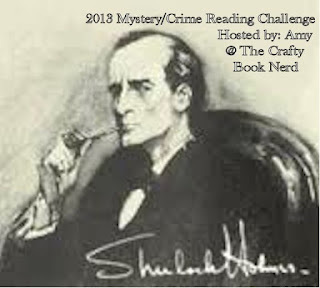 I joined with Amy at The Crafty Book Nerd in a celebration of good mysteries and signed myself up to read at the Sherlock Holmes level in her Mystery/Crime Reading Challenge. 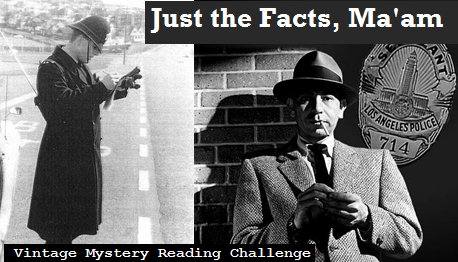 This really wasn't a challenge for me since I primarily read mysteries anyway....that's why I'm already finished with my level. 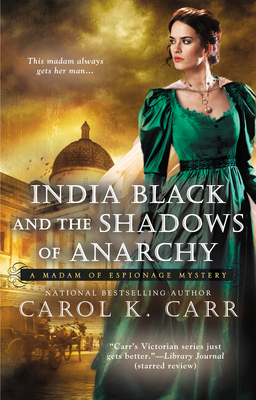 But never fear--more mysteries are on the docket for the rest of the year! This one as you can see has the obligatory dark, castle-like manor house and the misty moors and the damsel in distress--windblown and all--on the cover. And, of course, she takes on the job of governess/teacher to a thirteen-year-old play-writing prodigy who winds up being co-heir to the castle-like manor along with the brooding irritable lord of the land. There are evil doings afoot--attempted murder by pump-weight and faulty car brakes, escaped convicts roaming the moor, greedy relatives, and dour villagers galore. Deborah Lindsay (said damsel in distress) has come to England from Canada to escape memories of a town where her parents died as well as memories of a love affair gone wrong. She had been a teacher and is now looking for work. She applies for the job of governess/teacher to Carreen Gilmartin, the aforementioned play-writing prodigy. Carreen has been under the care of her aunt Mrs. Morne. Deborah no sooner takes the job than Carreen disappears from the hotel where they are staying. She goes off in search of her Uncle John--who she hopes will help her force Mrs. Morne to allow her a break from play-writing. Deborah is sent to track her down. But Uncle John is dead and Herondale Hall (the family home) is empty. Carreen's cousin Jeremy arrives (the brooding lord of the manor) and Mrs. Morne and Carreen's entourage follow. The will is read--revealing that Uncle John has left Herondale Hall and most of the family fortune to Carreen and Jeremy. That's when all the evil doings begin. As far as I'm concerned, it wasn't a great feat of deduction to figure out who was behind all the evil doings. No great mystery here. Fortunately, the characters of Deborah, Jeremy and Carreen, as well as some of the supporting villagers, are interesting enough to carry the story. Great atmosphere and the characterization make for a decent three-star read. Here we are kicking off another year of the Alphabet in Crime Fiction hosted by Kerrie at Mysteries in Paradise. 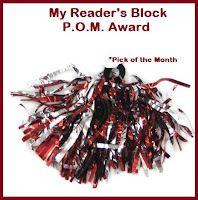 Each week she expects participants to produce a post featuring a mystery/crime novel, mystery novelist, or crime fiction topic related to that week's letter. 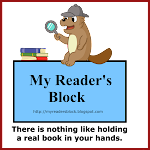 In the past I have pretty much stuck to titles or authors, but this year I'm going to try and produce posts on various crime and mystery topics. The duo's usual haunts are in Washington D.C. area and often have the air of political intrigue. 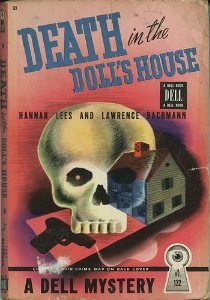 This story opens with Grace Latham in D.C., but she receives an urgent letter from an old friend warning her of the doom and destruction destined for Latham's eldest son if she doesn't high-tail it out to Hollywood and stop him It would seem that Bill Latham has taken up with a young trollop, is ignoring his studies at college and running through money like water at the local gambling dens, and is generally making a complete fool of himself. Grace heads west to sort out her offspring and winds up tangled in a web of Hollywood drama instead. Her son Bill and his army-buddy (named, most interestingly, Sheep) have "discovered" an up-and-coming young starlet and are attempting to launch her into the deep waters of Hollywood movie success. Molly McShane is a beautiful, if inexperienced, siren and Grace's friend isn't so much worried about Bill as she is about the effect Molly might be having on her producer husband George "Gee Gee" Gannon. The boys have convinced Gee Gee to take Molly on and everything seems set for Hollywood's newest star to start shining when Viola Kersey, former Hollywood star herself, bursts on the scene and insists on taking the girl under her wing. The next thing we know a string has been tied across the steps leading to Kersey's room and a woman is dead. Was Kersey the target or is there more to the mystery woman than meets the eye? Who is behind the raspy-breathing phone calls that Grace receives from the moment she enters her hotel room? What about the buried diamond bracelet? And the burned papers? Colonel Primrose will have to arrive at the scene and another person will die before we get to the bottom of the mystery. Grace Latham is a fun character. 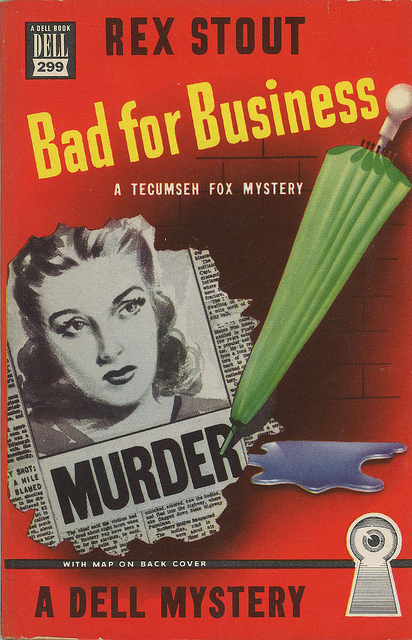 She's sort of a blundering, middle-aged Nancy Drew wannabe who draws trouble like a magnet, but, unfortunately, doesn't have the wherewithal to quite figure out all the clues that come her way. 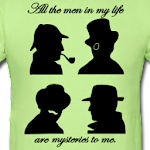 She, like Dr. Watson, has a way of conducting light to her partner in crime-fighting, Colonel Primrose. Once she tells him all the seemingly innocent (and sometimes not-so-innocent) tidbits that she's picked up in the first half of the story, Primrose is able to put the pieces together and reveal all in a grand finale worthy of any good Golden Age detective. The writing is straight-forward and laced with humor. I can always tell a good book by how many quotes I snag from its pages (sampling below). 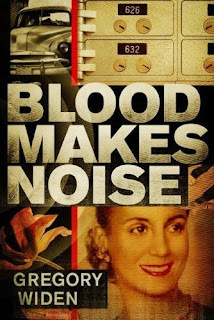 As long as you're willing to immerse yourself in the 1940s and shove any lurking Politically Correct Police into a closet, it's an enjoyable read. The book is, of course, a product of its time--we're focused on the white, rich upper-middle-class. Yes, there are minorities and under-privileged in the book and if you have your modern sensibilities on high-alert then you might have a few issues. But, honestly, Brown writes with more sensitivity than a lot of authors from the Golden Age and I don't see how much offense can be taken. I thoroughly enjoyed reading about Grace Latham and Colonel Primrose and look forward to the other two from the series I have waiting on the TBR stack. If you would like a really good, thoughtful post on Zenith Brown and her Latham/Primrose stories, then I suggest you take a peek at Leslie Ford's Fall from Grace by Ralph E Vaughn over at Book Scribbles. CP: Do you have to do murder? The yellow match book was lying on the seat of the taxicab. I saw it as the doorman at Garfinckel's bowed me in with a punctilio worthy of the wife of the Combined Chiefs of Staff. It seemed to me that there was trouble ahead. I could smell it the way a sleeping dog can smell a pound of hamburger when the butcher boy opens the kitchen door.